Home/Chamber, Home Page/Snowshoeing for Ooch! 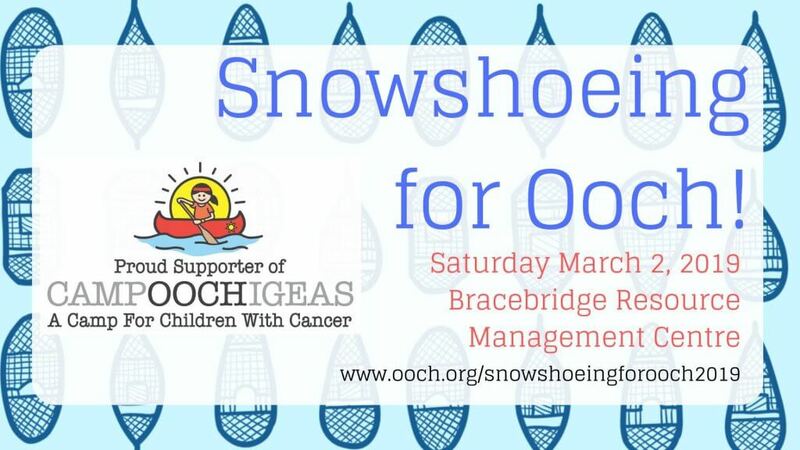 Come out to support Camp Ooch at the Bracebridge Resource Management Centre on Saturday March 2nd, 2019 for a family-friendly snowshoe adventure! Following your trek, enjoy a hot beverage, and a snack! Each adventurer will receive a swag bag upon completion of the course. $20 per person, or $60 for a group of four.